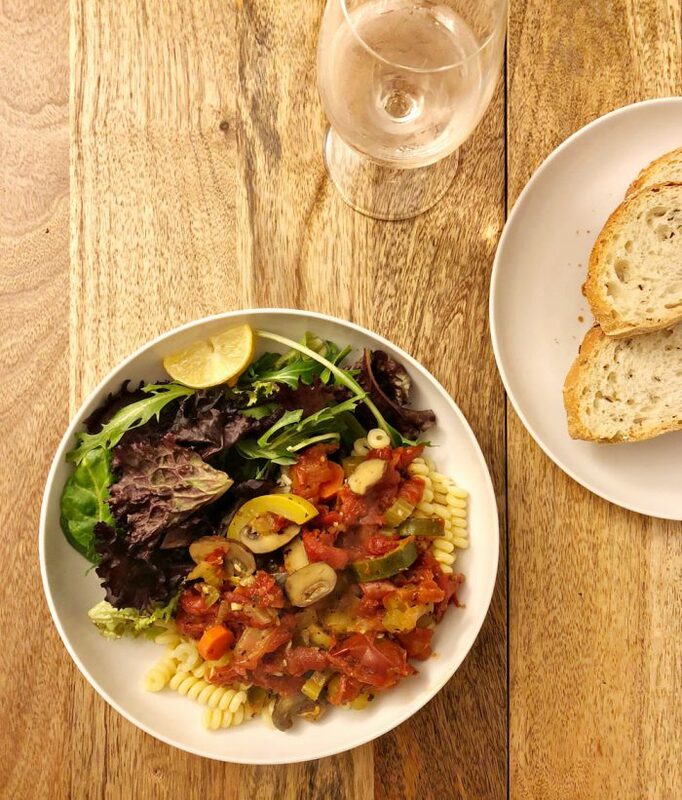 This was such a good meal… and it was one of those thrown-together-at-the-last-minute things, too! I made BLTs… just bacon, lettuce, tomato and mayo on toasted bread. It felt like such a treat somehow. I used up some red potatoes and green beans from our Farmhouse bin… I just boiled them up separately until they were tender, then tossed them with mayo, Dijon mustard, chopped dill pickles, salt and pepper. Shake over ice and strain into a chilled glass (or serve over ice if you want). Garnish with lime wedge. 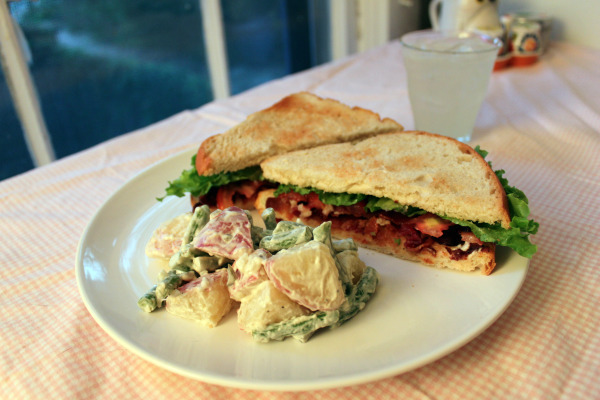 BLTs are seriously one of the best things in the world. Love them. Aren’t they? They feel so decadent, but so simple. And the daiquiris are a great idea! Poor hot Eskies. Yay for learning to cook! And yes, bacon does make most things better. I think.